Gregorian chant in downloadable MP3 format. 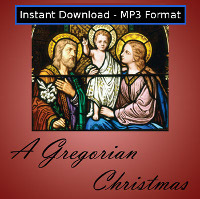 These downloadable MP3 albums have the same content (and the same quality) as the CD version of the same title. 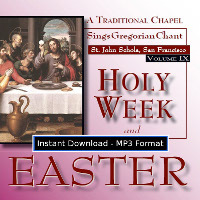 These MP3 albums are high-quality, encoded in CD-quality 320 Kbps MP3 format. These MP3s are 100% DRM-free and can be used on any device, anywhere, any place and any time. Where applicable, the lyrics are also included with the album in PDF format. 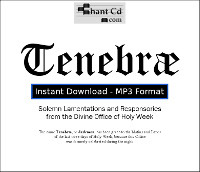 Advantages of buying the Downloadable MP3 Album versions: album is cheaper, pay no shipping, and get instant access to your music after purchase! 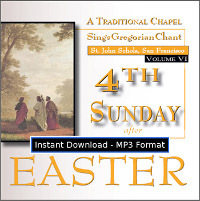 4th Sunday after Easter (Volume 6) MP3 DOWNLOAD EDITION: Includes Divine Office of Terce and a complete Sung Mass NEW! 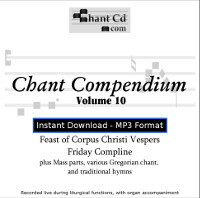 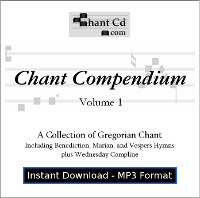 Chant Compendium Vol 1-4 Box Set MP3 DOWNLOAD EDITION: Over 5 hours of Gregorian chant! NEW! 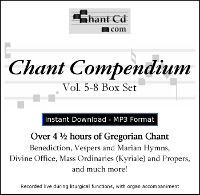 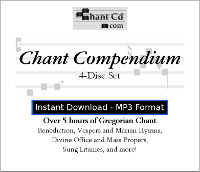 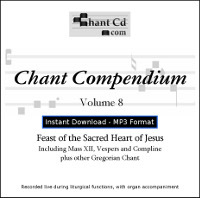 Chant Compendium Vol 5-8 Box Set MP3 DOWNLOAD EDITION: Over 4 1/2 hours of Gregorian chant NEW!